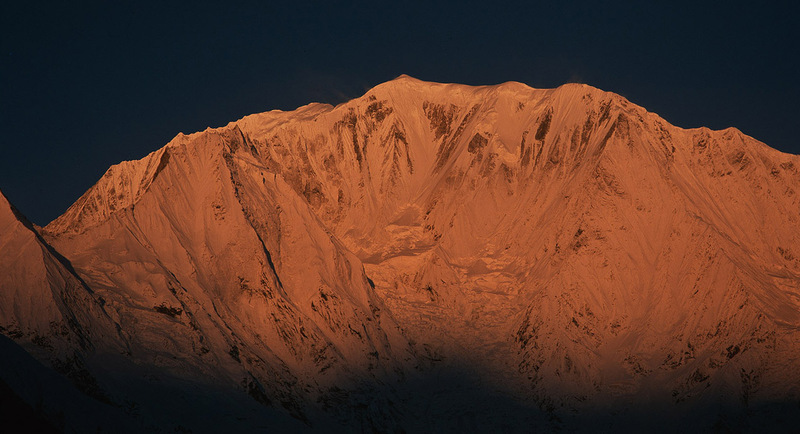 A telephoto at sunrise from Rani Karka in the Khuwari Kola valley. This was on of those Himalayan Sartori moments! After being tent-bound in a storm for three nights, I awoke at dawn to a crystal clear sky and the first rays of sun just kissing the summit of Saipal above. A sprint in my underwear and a down jacket had the tripod up and this picture taken. Just awesome.